I enjoy listening to music while I work. However, I am sick of Pandora, and my iTunes library is embarrassingly out of date. Therefore, when someone told me about the New York based startup, Turntable.fm– my work music source changed for the better.Turntable.fm is a site where users can connect and share music in genre categorized rooms. The music in each room is controlled by five DJs. Any user can be a DJ if the spot is vacant. However, the popular rooms can have close to 200 users inside of them making the DJ role a coveted position. 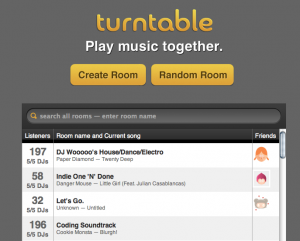 Turntable.fm keeps it social by adding a chat box to each room. 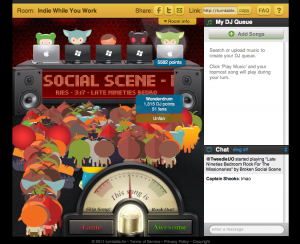 I have learned to use Turntable.fm as a resource for productivity rather than a distraction. 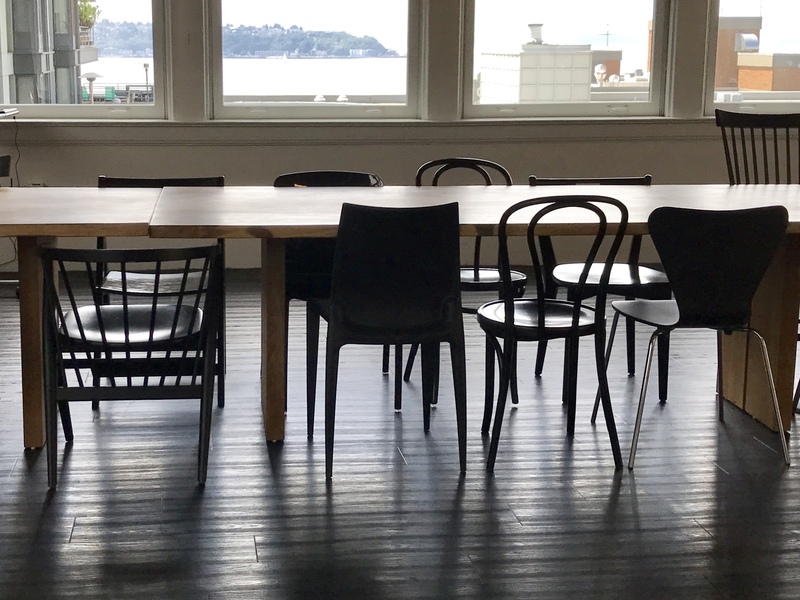 At work, I will login to Turntable.fm and select a room that fits my current music mood (right now I’m hanging out inside of the “Indie While At Work” room!) Instead of taking on a DJ roll and chatting away with the other users, I will keep Turntable.fm active in a browser tab and carry on my way. I love how the music played on Turntable.fm is hand-selected by other users, and the songs keep playing without annoying ad interruptions (at least not yet).If you’re interested in spicing up your music playlists, I recommend giving Turntable.fm a try. Just keep in mind that it can be extremely distracting. That is, if you let it.